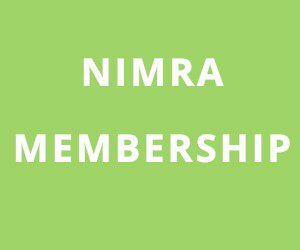 This Saturday saw the second round of the Podium4Sport NIMRA Championship. This edition took place in Rostrevor on The Fallows course. 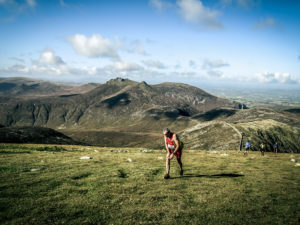 The Fallows is 10 miles of fast hill running around one of the most scenic spots in the mournes. Starting close to the park gates at the forestry hut runners head straight into the hill heading for Fiddlers Green, but they miss that turn and head straight on for the fearsome Badgers Claw climbing up, up and up to the mountain plateau. On the plateau competitors follow the rolling path to the top of Slieve Martin. After rounding the cairn they are heading for Crenville. This is real Games Of Thrones territory with peaty tunnels of trees and waist high grass. Eventually the race struggles out of this tough ground before a fast run around the park to the bottom of the Slieve Martin zig zags. Once again it is up, up, up before full metal jacket time and a fast dash over the mountain tops to the Cloughmore Stone and down via Fiddlers Green. From the whistle Willy McKee (Mourne Runners) and Tommy Simmons (North Belfast) took the lead and had a gap on the next group of Sam Herron, Zak Hanna, David Hicks and Deon McNeilly going into the Badger’s Claw. As they moved up the climb McKee sensed a little weakness in Simmons and applied some pressure. This decisive move saw him take the lead of the race. Just behind Mourne Runner Sam was swamped by the three Newcastle men who opened a bit of a gap on him as they headed to Slieve Martin. At the top of Slieve Martin McKee had a clear lead buy cheap online pharmacy dostinex over Simmons who in turn had a minute on the chasing group from Newcastle. On the way to Crenville Hicks and Hanna opened the throttle and started to distance the unstoppable McNeilly. Once out of the grass Herron took up the chase and caught McNeilly shortly afterwards. As the race headed for the zig zags Sam had reeled in young Hanna and gained a small gap on him. McKee topped the zig zags with an unassailable lead of 4 or 5 minutes and cruised on for the win. It looked like there would be a battle for podium places with 90 seconds splitting the next four men at the top of the zig zags. First up was Tommy Simmons. He was followed by a determined looking Hicks. Just behind Zak Hanna was out climbing Herron to crest in fourth position followed by Sam in fifth. Hicks went on to apply his fearsome descending skills to catch and distance Simmons for second place with Tommy in third. In the ladies race Diane Wilson (Dromore) went over Slieve Martin first, followed seconds later by Shileen O’Kane (Lagan Valley AC) with Jacki Toal (Barf) a couple of minutes behind. As the race progressed around the forest to the zig zags there wasn’t much to split the leading two, but Diane maintained her lead up the zig zags and went on for a strong finish to take her first victory in this year’s series. Shileen and Jacki completed the podium in second and third, respectively. Thanks to the Newry City Runners and the Mathers family for hosting another great race. The next round of the championship is the classic Annalong Horseshoe on May 7th. See you then.